“Et tu, Brute?” Julius Caesar is murdered in Rome by Marcus Brutus in a hall next to Pompey’s Theater. San Antonio will not exist for another 1,762 years. 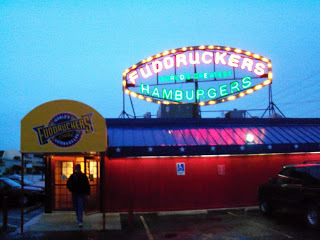 Phillip J. Romano opens the first Fuddrucker’s burger restaurant at 8602 Botts Lane in San Antonio (right). It’s still there. The Black Crowes make their first San Antonio appearance along with Junkyard at Sneakers.